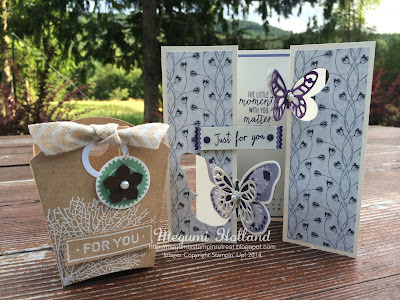 Here are the projects we will be making at my Big Shot classes this month. Aren't they so pretty? 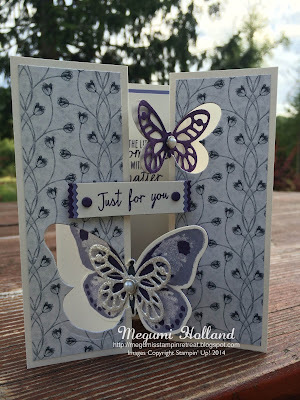 I had so much fun creating this card using the new Watercolor Wings Stamp Set and the coordinating Bold Butterfly Framelits - they are absolutely "must-have" items in the new catalog! 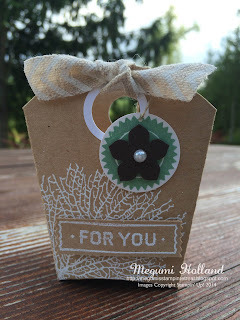 Can you believe this pretty tote was made using the Fry Box Die? It is super cute!